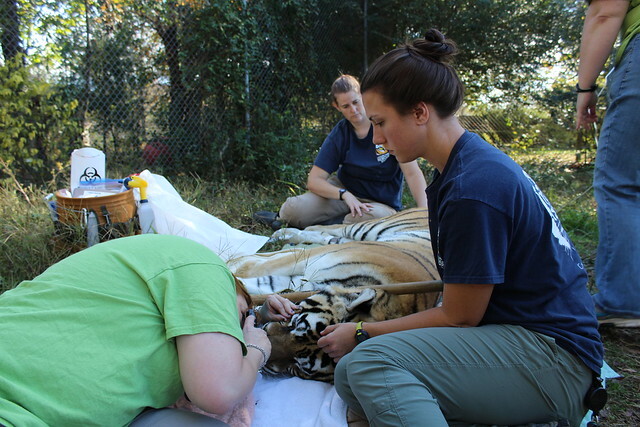 The Carolina Tiger Rescue animal care staff sedated India Tiger on Thursday for a vet procedure. 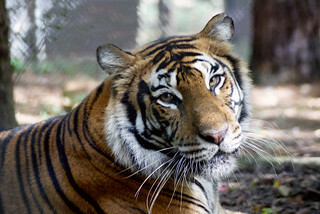 For the past few weeks, the 7-year-old tiger had inflammation inside her nasal cavity, at times making the area raw. She was treated for a potential virus, but the antiviral medication did not clear it up. Carolina Tiger vet Angela Lassiter wanted to take a closer look. She took a biopsy of the area, and it showed there may be a inflammatory allergic reaction. There were no serious health concerns for the tiger. India did well, and the procedure took about two hours from first sedation until she woke up. India is still recovering from the procedure but looking good. Angela Lassiter observes India Tiger’s eyes while the cat is under sedation. 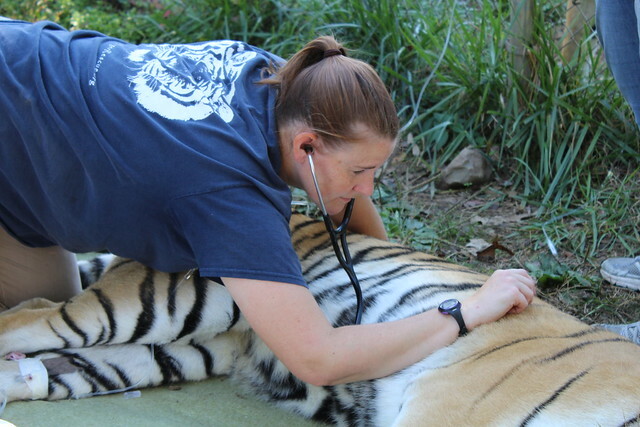 Keeper Lauren Humphries monitors India Tiger’s breathing during the procedure. During vet procedures, animals are examined from head to toe. India lives on Oak Hill with Carolina and her brother Caprchio. The other two tigers were shifted away from India during the procedure, which took place inside of the smallest shiftable area of the trio’s enclosure. The “Three Tigers” came to Carolina Tiger Rescue after the historic Colorado rescue of December 2016. As cubs, they were respectively exploited for entertainment. They were rescued by a facility in Colorado until it shut down, leaving 110 animals needing homes last year. Carolina Tiger took in 16 of them.